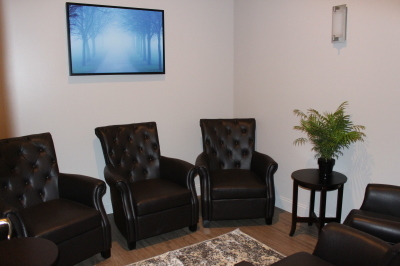 At Revive Sauna Studio, it is your time to relax and focus on you. Enjoy your yoga sessions in private rooms with aromatherapy, relaxation music, & cold compresses. Our relaxation area has complimentary water, fruit-infused water, & organic herbal teas. Please read each section below to learn about your experience. For your first visit, we will discuss any prior Yoga experience, your goals, injuries or physical limitations, questions, and you will sign the release form to practice Yoga. Please arrive at least 15 minutes early. Please be prepared by bringing your Yoga mat, towel, and water bottle if you prefer water during your session. Mats will be available to rent if needed however quantities are limited. Refrain from eating for at least 2 hours before class. If you need to eat something prior to your session, light snacks such as fruits or vegetables are recommended. Arrive early for your apointment and begin to relax before your session. Sessions will begin promptly on time. If you have any medical conditions that would lead you to be cautious about practicing Yoga, please consult with a physician prior to use. Please wear appropriate snug-fitting, light weight clothing. Sport or tank tops and yoga shorts or pants are recommended for women. Yoga shorts, workout shorts, or swimsuits are recommended for men. Please set your phone on silent and refrain from talking on the phone while in the studio. For added intensity, try Pure Sweat amplifying cream to increase sweating, circulation, and to boost results. Rehydrate! Drink at least 1-2 liters of water or electrolyte. At the end of your session, please be prompt in getting dressed to allow preparation for the next guest. 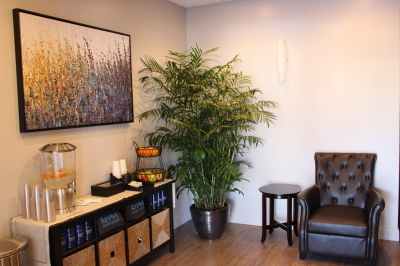 After your session, we invite you to continue to unwind in our relaxation area with music, aromatherapy, complimentary water, fruit-infused water, and organic herbal teas.